New updated design and functionality. 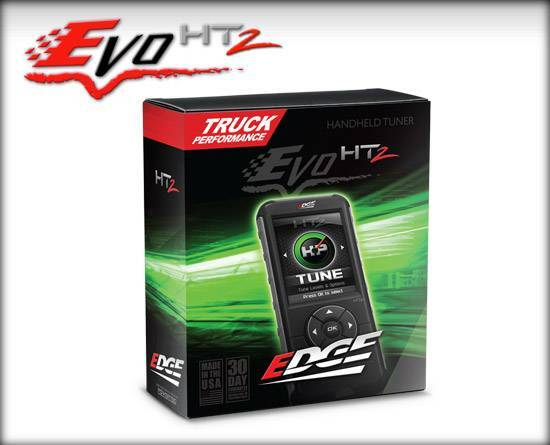 With an all new sleak design, the Edge Evo HT2 is a premium hand-held performance tuner from Edge Products. The Edge EvoHT2 was developed specifically to give you the most power at the best price, with industry leading service and quality that comes standard with every Edge product. 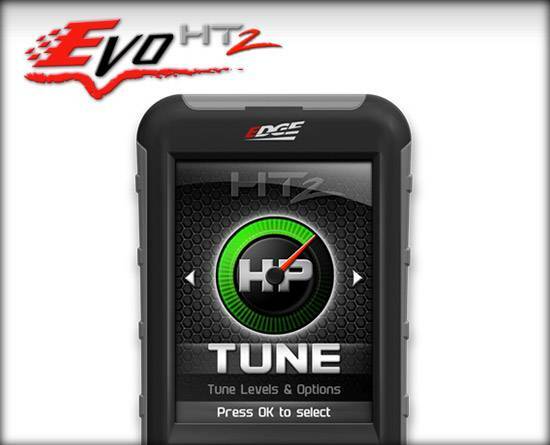 With the Edge EvoHT2, you literally hold the power to unlock the hidden potential of your truck or SUVs power and fuel economy in the palm of your hand! 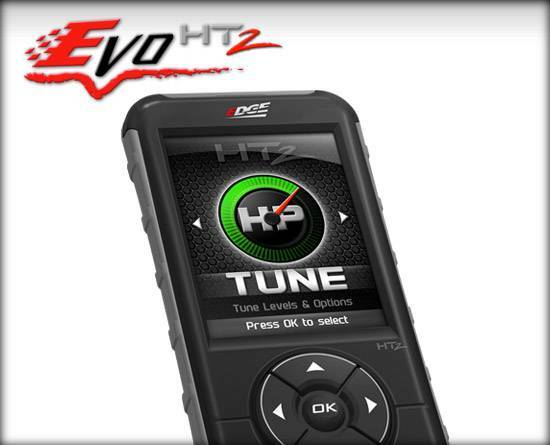 The EvoHT2 is loaded with multiple power levels for each application. Power levels range from mild to wild. Each level is designed for a specific type of requirement. There will be a mileage level, tow level, and performance level. The levels will vary on each make and model. • Speedometer calibration for axle gear and tire size changes from 22.5" - 42"
The EvoHT2 is internet updateable via the built-in USB port. 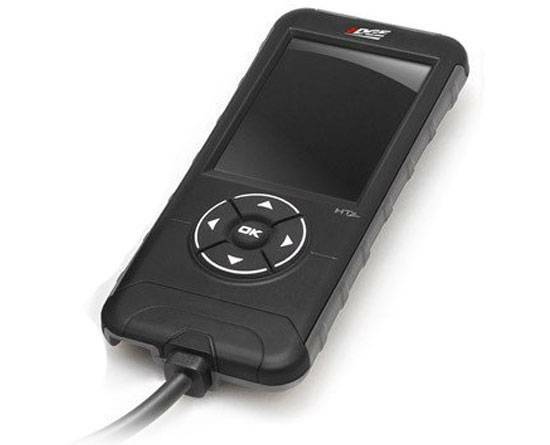 Simply plug in and update your EvoHT2 for the latest updates, software, and calibration files. (in compliance with all CARB requirements regarding downloadable information) * Results and feature set may vary based on vehicle make, model and aftermarket upgrades on the vehicle. Read all instructions before installation and/or operation of this product. Not legal for on-street use in the state of CA. Product is currently undergoing required emissions tests in order to be granted an Executive Order (E.O.) number from the California Air Resources Board (CARB), allowing legal, on-street use. New versions of the product will result from this activity and Edge customers will be informed of that on this website. Watch for this announcement soon. 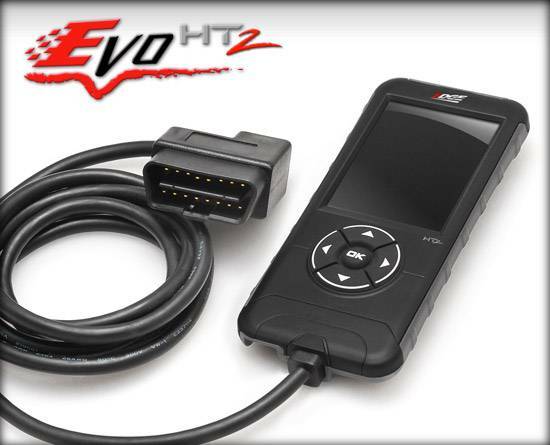 The EvoHT2 programmer has the ability to remove and or adjust your vehicles factory speed limiter. Improper use of this feature could result in a serious or fatal accident. Removal/ adjustment of the factory speed limiter is intended for use in a closed circuit, legally sanctioned racing environment. Even if racing in a legally sanctioned racing environment, it is your responsibility to ensure your tires and other vehicle components are rated to travel at increased speeds with the speed limiter removed / adjusted. If you remove / adjust the speed limiter during highway driving, it is your responsibility to obey all driving laws, including adhering to posted speed limits. Removing / adjusting the speed limiter for purposes inconsistent with the product's intended function, as stated herein, is a violation of the products intended use and invalidates the product's warranty. Edge Products is not responsible for or liable for the consequences of improper product use.